Also a longtime lurker, FINALLY decided to make the jump! 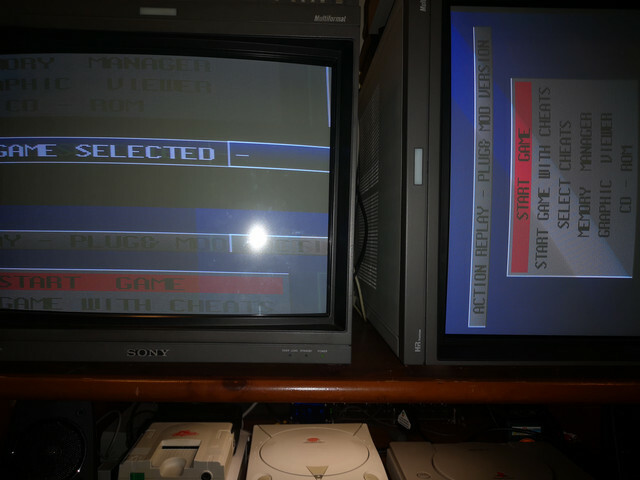 Quick question though regarding the gcompsw: Seeing how the new gscartsw has better component support, what are the chances for dual output (preferably with one being scart) on the new gcompsw? Ordered my second switch. So happy with the first, and really, really looking forward to completing my setup with this awesomness. Thanks for your work Superg! I've just ordered a first sub-batch. It will take 14 working days + time to ship here + time to adapt firmware to larger Altera. Will keep everybody posted. Next version of gcompsw will have two component outputs, I don't plan to do any transcoding. What's your guess on how long it would be before you have a working prototype? I'll start work on gcompsw after I finalize and deliver gscartsw v5.1. gcompsw will be redesigned in a very similar way to gscartsw - 8:2 switch with the same switching logic. I have some interesting plan with gcompsw RCA connectors, if that will work, I might get slimmer and neater case version. Do you think you'll have a future model with the VGA out again? I'm trying to connect to a RGBHV BNC. As with the latest gscartsw, please also keep the EXT header for gcompsw, even if it will be read-only. I was referring to an arbitrary guess like 6 months. 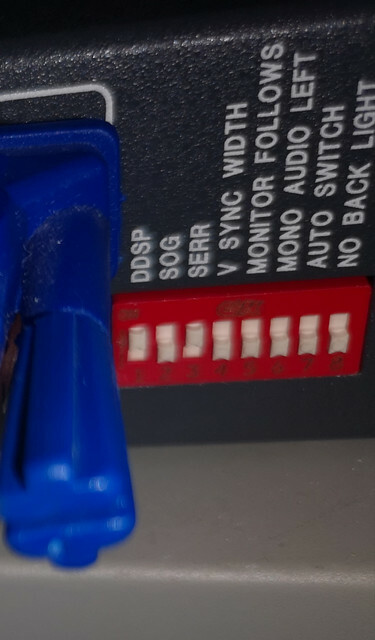 It would be cool if these switches had transcoding, but that would require you building ossc's into them an would increase the price a few hundred more. Unless you are talking about the YUV/YPbPr to RGB conversation. Unless you are talking about the YUV/YPbPr to RGB conversation. Superg was talking about YPbPr to RGBS conversion. I was mainly referring to passing YPbPr over SCART (to make the setup look cleaner when connected to gscart for YPbPr passthrough lol) but I guess it's not really a feature that we need. Nice! Dual component out Thanks for all the work you do superg! Last edited by sandor on Thu Aug 30, 2018 4:38 pm, edited 1 time in total. Does that mean the gcompsw will be 8:2? Wow! I'm so glad to see this for sale again. I've heard nothing but good things! I placed an order, but never received a confirmation email. Should I expect one? You should get a paypal receipt to your email, but I guess it depends on your paypal settings. Log in to your paypal online and check if you see a transaction. Unfortunately I completed the transaction as a guest (but my credit card was charged). Could I send you an email or PM with my details? 8:2 for component is insane. I only have a Wii and original Xbox with component. All other console are using HDMI and Scart. Would love if ntsc Wii used Scart but I would need to modify the console to do that. I thought the same but there is WII, PS2, GameCube, original Xbox, PSP and don't forget about HD Retrovision cables. Some people simply prefer component. More inputs and second output is the current most asked feature. There are also later, HDMI-equipped consoles that are also capable of YPbPr component, like the PS3, Xbox 360, and Wii U; and it's not out of the realm of possibility that someone would want to integrate a DVD/Blu-ray player. Since TOSLINK still isn't on the table, I'm hoping that the new gcompsw will retain the EXT header so I can use that TOSLINK addon for the gscartsw 4.x/lite, or perhaps one that's specific to the gcompsw, even if it's for the 4-porter. Would be great if toshlink is added to the next revision of these switches. Wishing the OSSC would have toshlink as well since it is the heart of my gaming set up. With RGsB in the bag on the new 5.x gscartsw, and more inputs and dual outputs coming for the gcompsw, what else would be needed for us retro console gamers besides TOSLINK and maybe RGB<->YPbPr transcoding? An RF, s-video, & vga switch are the only ones remaining so it would encompass all game consoles. However for my gaming setup, toshlink is the only feature I am eagerly waiting for. For s-video you can get RCA breakouts and route them through a gcompsw. For RF, I use those little Nintendo/Sega in-line rf to coax doodads. And send them into a demodulator to composite. Which, you guessed it, goes through the gcompsw. I ended up getting one of my NES systems modded for RGB. Was the best upgrade ever and through the OSSC looks amazing. I debated the RF piece to composite but couldn't get over how bad it would look (to me, that is, no offense to any that enjoy it true retro style). 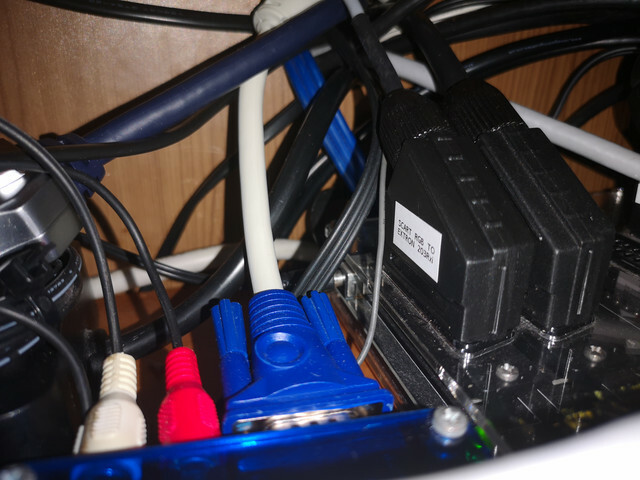 I don't have space for a CRT and the fact that they are getting harder to find in good condition and keeping them alive meant I went OSSC and SCART. And the NES is my favorite so it got royal treatment. None of the other systems I own are limited to RF so it was an easy choice as well. Like any of us need another remote. It's possible to implement that now with an addon board for the earlier models. Probably just need an IR receiver and a simple logic chip to tap into the EXT header to override the input. I just paid for the gscartsw pre-order. Been waiting for a while to order one ever since I've found out about it from MyLifeinGaming. I know theres like a 2 month wait or something but I'm just happy that you kept the pre-order open. Thanks SuperG. I want to echo the thanks for leaving the preorders open, gave me enough time to get paid and get a preorder in. Thanks superg, can't wait to try out your work! I'm trying to connect gscartsw to Extron 203 RXi but i got this horizontal scrolling. 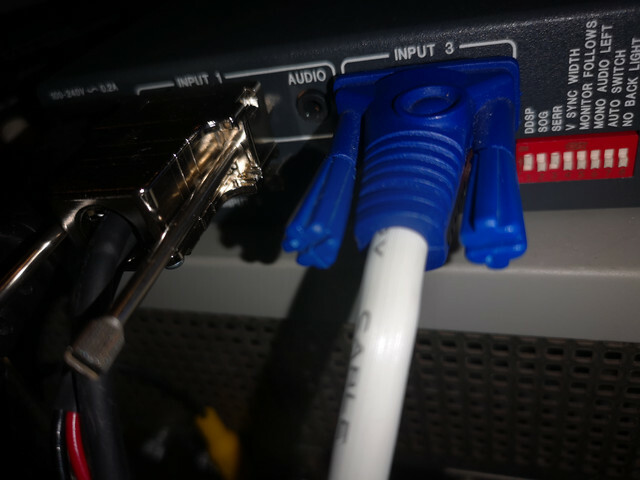 The cable (scart male to vga with audio breakout) are made by my friend, could this be a cable problem ? As you can see the 2nd display without extron are perfectly fine. VGA expects separate HV sync, gscartsw_lite outputs combined sync. I don't see how that can work if both HV syncs aren't provided on VGA output. Or does extron supports combined sync on VGA? Sorry not familiar with extron.